With integrated Wi-Fi connectivity, voice recognition, and home automation support, the Google Home wireless speaker will connect to your wireless network to provide control of, and access to, virtually all of your smart devices. It can play music, check the weather and traffic, tell you sports scores, control your smart home equipment, and more. Using far-field voice recognition technology and the Google Assistant, the built-in microphone allows the Google Home to recognize your voice and perform the requested task in an instant. 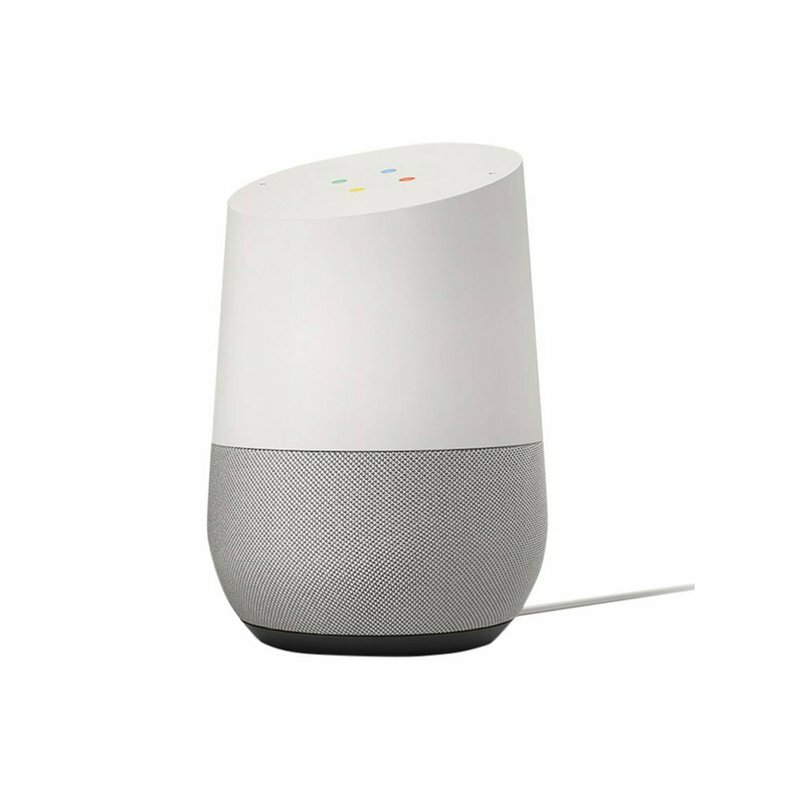 You can control the Google Home by voice, with the Google Home app, or using the touch surface on top of the unit. Voice control can be disabled with the rear-mounted mute button. At only 3.79" wide and 5.62" tall, the Google Home is designed to fit nearly anywhere in most décors. To further blend into your home, the slate fabric base is interchangeable with six separately available colors.